When adopting an adult, many things factor into how social the hedgehog will be. 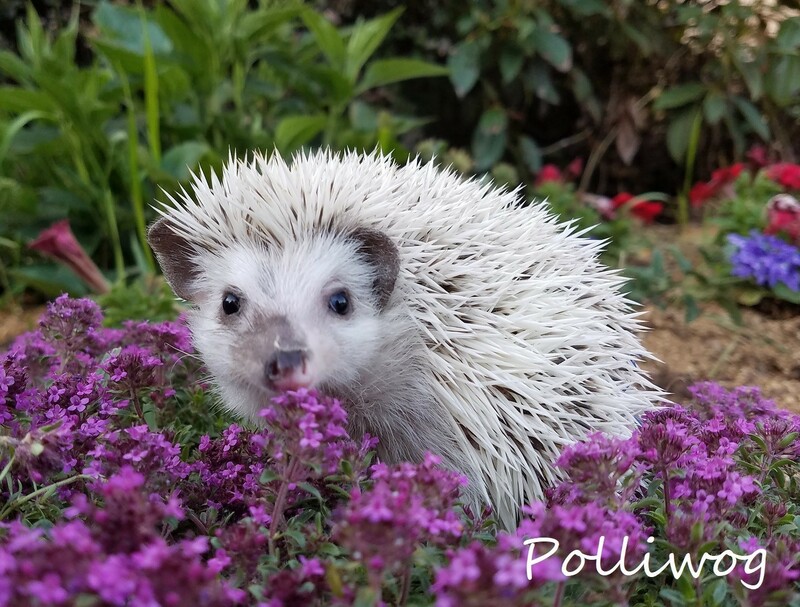 It is likely that an adult hedgehog will not bond with you. Hedgehogs are smooth brain animals which means they really don't "learn." Scientifically a smooth brain tells us they are pretty much hardwired for their instincts. They "react" rather than "learn or think." As adults, a hedgehog's brain is fully developed and is less likely to imprint you in it. In some cases, like with reverse pintos, they tend to be more social regardless of age. 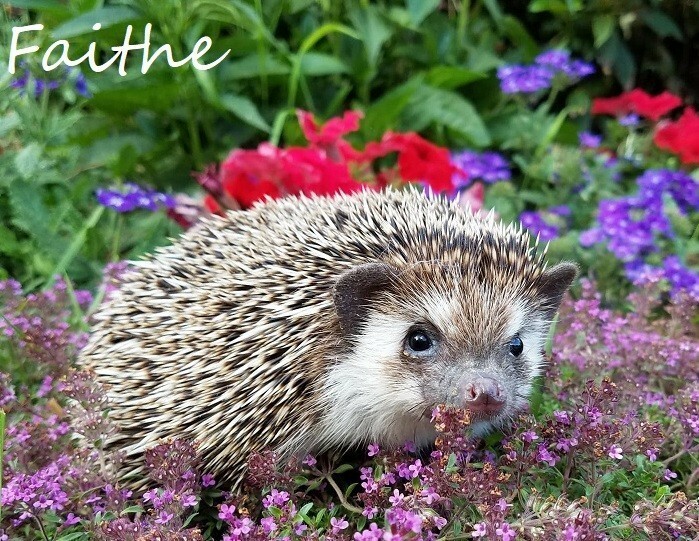 In other cases, owning a retired breeder may be simply the whimsy of owning a hedgehog. This isn't a bad thing, as a hedgie can be very entertaining to watch! Please keep in mind that owning a retired adult is not ok for some kids. ​​ Adopting an adult sometimes isn't the best for 1st time hedgehog owner either. 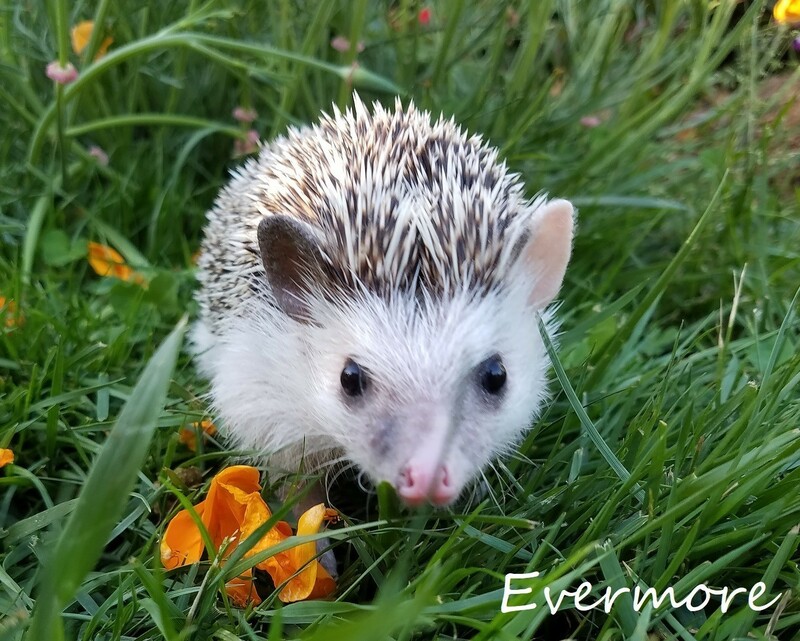 PLEASE read the description of each hedgehog before submitting a reservation form. 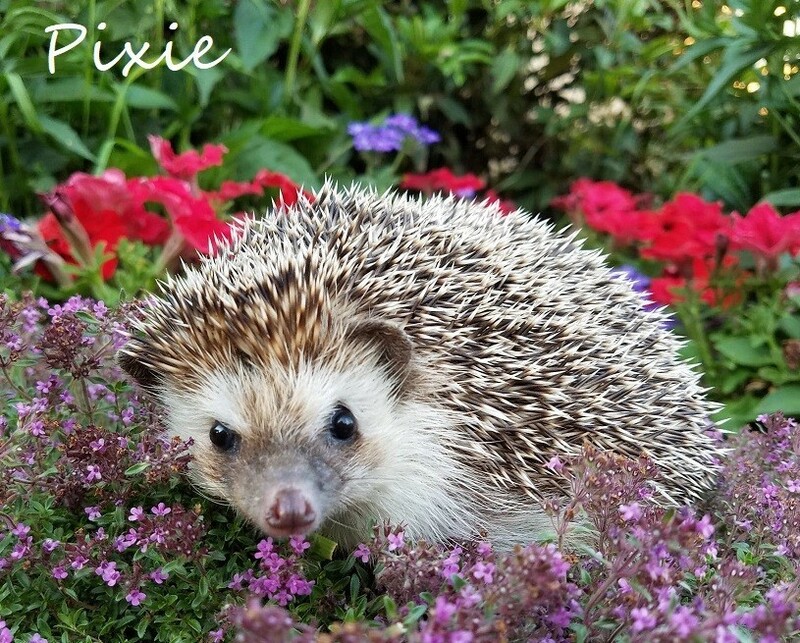 Pixie is a rescue. She is a little shy at first, but you will be able to hold her. he will just lay in your lap. She is quite overweight so she will need extra exercise. Summer is perfect for letting her run outside in the shade! Having her around for company wouldn't be such a bad thing! Pixie comes with a toy, water bottle, 6 oz of food. Faithe is a rescue. I really like this sweet girl! I have noticed a couple of skin tags on her right lower eyelid. Nothing t be concerned about and hardly noticeable! Faithe comes with a toy, water bottle, 6 oz of food. Before clicking the "adopt" button, please refresh your screen to see any recent changes. Olive is a rescue. She can be a little quick, and pretty shy. She isn't huffy but for sure is not social. She does warm up and loves to go outside. With the weather warming up she wlll be a lot of entertainment outdoors. Oive comes with a toy, water bottle, 6 oz of food. 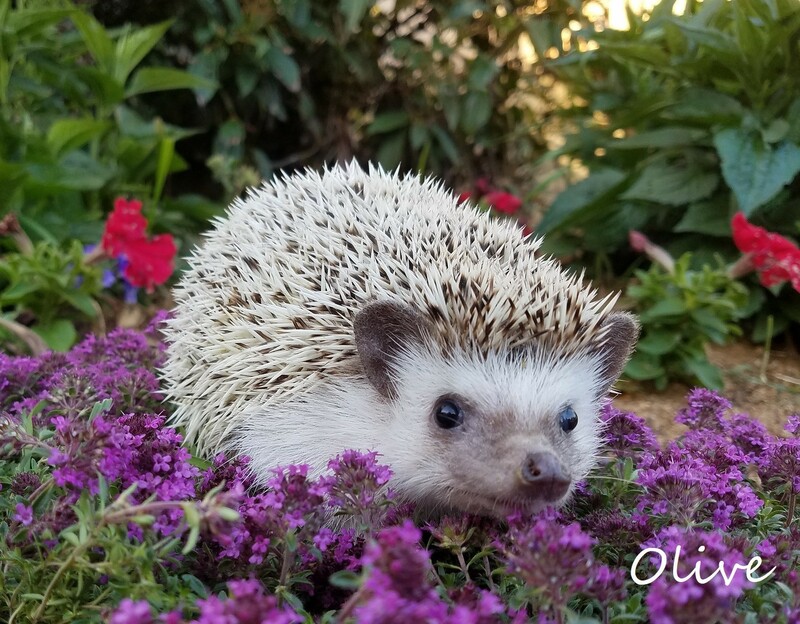 Although she is a retired breeder, she is a very sweet hedgehog! She is not shy at all! Evermore comes with a toy, water bottle, 6 oz of food. I know this little guy is still a baby, however he was a pet store purchase and surrendered to me shortly thereafter. Very cute split face! Sweet little guy! Polliwog comes with a toy, water bottle, 6 oz of food.